uget – What you get is what you see – Join the global community of users who understand their personal wireless performance. Forget about vague coverage maps. What matters is the coverage ‚U get‘. 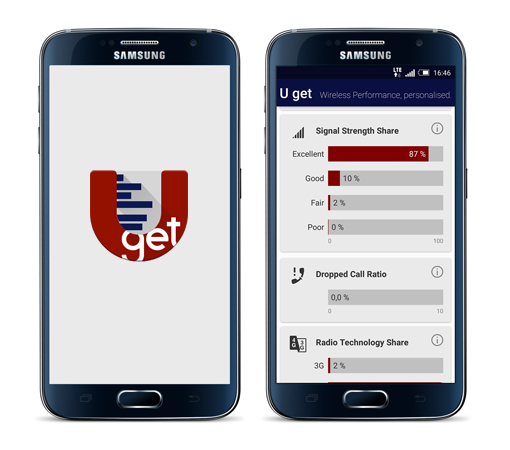 Download the ‚U get‘ app today and join the global community of smartphone users who understand their personal wireless performance, while contributing to the world’s most comprehensive picture of the mobile customer experience. ‚U get‘ is free and very simple to set up, just install the app and you are ready to go. ‚U get‘ works in the background to measure connection speeds and put carrier coverage and technology claims to the test. All without draining your battery or your data plan. Available now at Google Play. U get gives you full control about your real-world network performance. No need to do speed tests any more. No need to believe claims. It scouts the speed you really get, it recognizes when you are out of coverage and it counts your dropped voice calls. No data volume consumed for executing speed tests any more. 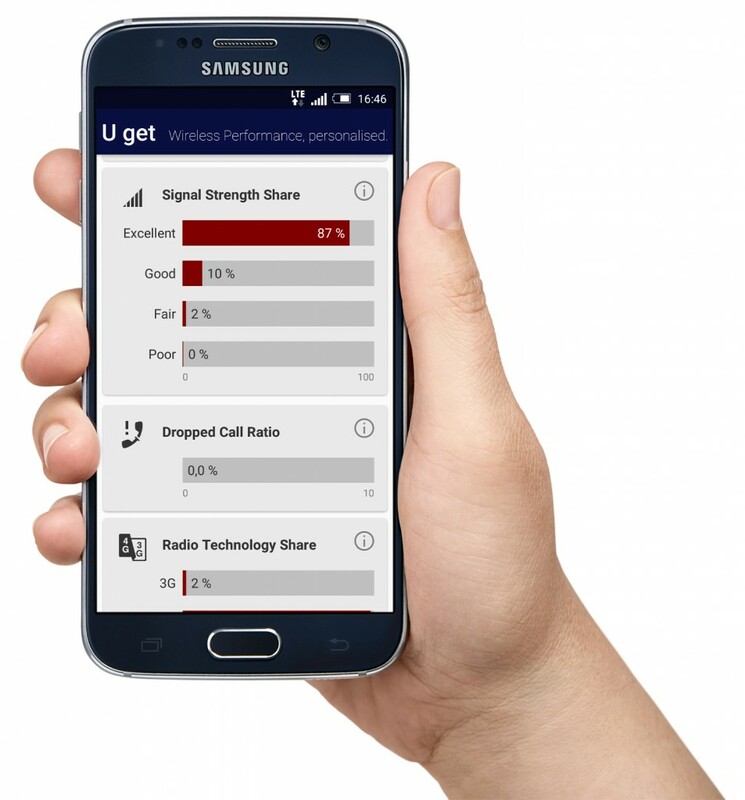 ‚U get‘ tells you the truth about your personal cellular network performance at hand, visualized on a single screen. Data Speed. Dropped Calls. Coverage. Radio Technology. All on just one screen. The download and upload speeds experienced for each wireless access technology. The data speed chart shows the maximum download speeds experienced for each wireless access technology during the last 7 days. Speeds are calculated directly from your actual data usage during everyday smartphone use. Therefore, this measure does not incur any artificial traffic. Please note that the level of speed shown is strongly dependent on what type of apps you use. E.g. text messaging would neither require nor obtain high speeds while an app download does. The percentage of voice calls that ended unintentionally during the last 7 days. The dropped calls chart shows the percentage of your voice calls that you did not terminate intentionally but that dropped during the last 7 days. Your connectivity expressed as how often your smartphone had a working internet connection. The data network availability chart shows the coverage experienced and your connectivity expressed as how often your smartphone had a working internet connection. The chart shows the percentage of successful validations of your smartphone’s internet connection during the last 7 days. The percentage of time you could actively use your smartphone or tablet on 4G LTE. The chart shows the percentage of time you were actively using your smartphone on different wireless technologies during the last 7 days. Possible values for are 2G, 3G, 4G LTE or WiFi.